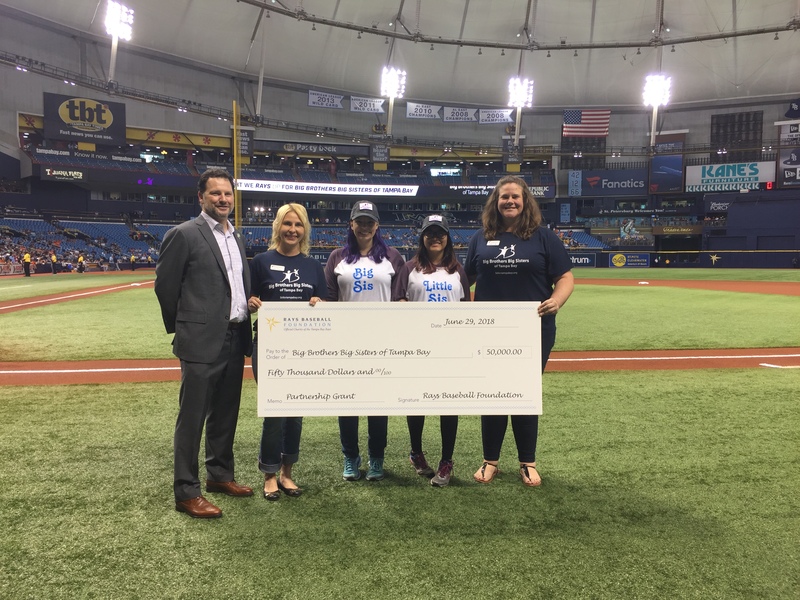 Jessica & Angie threw the first pitch and accepted a grant on behalf of Big Brothers Big Sisters of Tampa Bay at the Tampa Bay Rays game on Friday, June 29th, 2018. Big Brothers Big Sisters of Tampa Bay was once again invited to attend the Tampa Bay Rays’ “Rays Up Night”. The annual “Rays Up Night” is an evening where the Tampa Bays Rays highlight the amazing work they are doing in our community as part of the Rays Community Foundation. Prior to the start of the game, Tampa Bay Rays’ President, Brian Auld, presented Big Brothers Big Sisters of Tampa Bay with a $50,000 grant to support our mission, which is to provide children facing adversity with professionally supported, one-to-one mentoring relationships that will change their lives for the better, forever. As part of the Tampa Bay Rays partnership with Big Brothers Big Sisters of Tampa Bay, Rays employees volunteer at the nearby Campbell Park Elementary School as Big Brothers and Big Sisters, bringing their Littles to Rays games throughout the season. 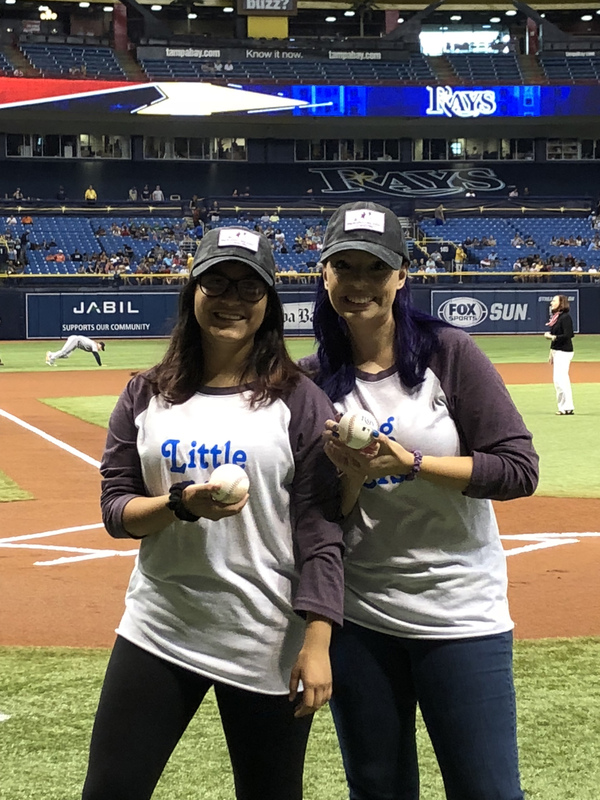 After the grant presentation, Big Sister & Little Sister of the Year, Jessica and Angie, went out to the field to throw the first pitch prior to the start of the game. Jessica and Angie then had the opportunity to head up to the media booth for an interview with Steve Carney of the WDAE 620 AM radio station, the flagship station for the Tampa Bay Rays baseball team. Jessica and Angie later joined a few of our Matches and Board Members in a special suite to enjoy the game with refreshment catered by the Tampa Bay Rays. During the 7th inning, the Big Brothers Big Sisters of Tampa Bay suite was featured on the jumbotron and everyone sang “Take Me Out to the Ball Game”! Big Brothers Big Sisters of Tampa Bay is proud to be a partner of the Tampa Bay Rays and the Rays Community Foundation! Thanks to their support, we will be able to pair more children in our community with caring mentors that will positively impact their lives. View the photo album from “Rays Up Night” here.